The 2016 Jazz on the Chesapeake series comes to a sensational close on Thursday, May 12th with the return of vocalist René Marie to the Academy Art Museum in Easton. 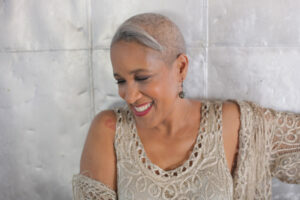 Rooted in jazz traditions à la Ella Fitzgerald and Dinah Washington, Marie’s style borrows elements from folk, R&B, classical, and country genres to produce a body of work that explores the human experience. The combination of musical influences that create Marie’s sound is reflective of the variety of genres she listened to during her childhood. Growing up, she had little formal musical training—save for two years of piano instruction. As a teenager, she sang in a few local R&B groups, composing and performing her first original piece with a band when she was 15. The responsibilities of adulthood, however, led to music taking a backseat in Marie’s life. Yet more than 20 years later, at the insistence of her eldest son, Marie rejoined the local music scene and, soon after, transitioned into a full-time career as a vocalist and performer. The next two decades were a whirlwind of recordings (11 to date!) and countless stage and theater performances, cementing Marie’s reputation as not only a singer, but as a composer, arranger, actress, and teacher. “Sound of Red,” her most recent album—to be released the day after her Easton performance—is her first work of all-original material, providing insightful glimpses into the small, yet profound turning points in one’s life. 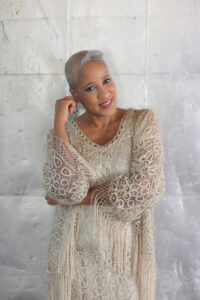 René Marie will perform at 8 p.m. Thursday, May 12th at the Academy Art Museum in Easton. Tickets are $55. To purchase, visit jazzonthechesapeake.org.